Crickets are a nuisance pest for a few different reasons, which is why it is important to call for cricket control immediately after you spot a problem. Crickets breed by the hundreds and they do high amounts of damage to plants and vegetation by eating leaves and foliage around the outside of homes. Field crickets, house crickets, and camel crickets are all be found throughout the Lees Summit area. Their chirping noises can be heard keeping people up well into the night. These chirping noises are made by the males rubbing their wings together, mostly trying to attract females. The chirping noises are different for each species, so each can be identified by its distinctive chirps. Crickets develop by gradual metamorphosis, meaning once they hatch out of the egg stage, the young cricket looks very much like its adult counterpart. Other than size, the only other difference between an adolescent cricket and adult cricket is adolescent crickets do not have fully developed wings. If you have a cricket problem, don’t hesitate. 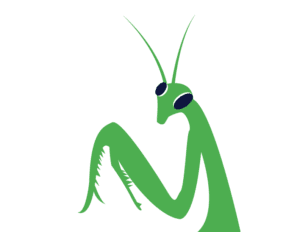 Call Lees Summit’s Mantis Pest Solutions today at (816) 287-5030 or (913) 225-7060 to provide effective cricket control for your home and yard. We know how to get rid of crickets. An adult house cricket can reach up to 1” long and is light brown in color with 3 dark bands on its head. House crickets are usually found outside but can also be found indoors around warmer areas. 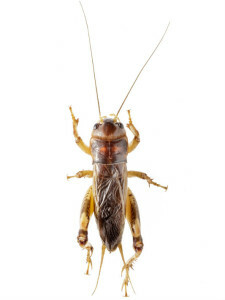 These crickets are typically located near fireplaces, kitchens, basements and around water heaters. When they make their way inside your home, crickets can cause a great deal of damage to silks and woolens by chewing through these materials. For this reason, if you spot these crickets in your home, don’t hesitate to call for cricket control. Outside, house crickets are often located in piles of debris, rocks, wood and leaves. They begin to enter homes through small gaps and cracks as the weather starts to turn cold. House crickets are most active at night and often start to come out around dusk as they search for food. 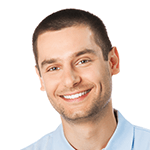 Female house crickets will lay approximately 100 eggs inside the house in various cracks and crevices. However, the field cricket will lay over 700 eggs in the soil outside. Eggs of the cricket are very hardy and can usually survive very cold temperatures during the winter. Call Mantis Pest Solutions at (816) 287-5030 or (913) 225-7060 to get rid of crickets. Field crickets are slightly larger than house crickets, measuring 1.25”, and are usually black in color. Field crickets are the most commonly found cricket in the Lees Summit area. Huge numbers of these crickets are found in the late summer to early fall around various buildings because the adult cricket is attracted to light. Often these crickets burrow into the ground to lay eggs. Like the eggs of the house cricket, the eggs of the field cricket are very hardy and will survive the cold temperatures of Lees Summit during the winter. Their eggs usually begin to hatch in May, but may come out earlier or later depending on temperature and moisture levels. In order to stop these bugs from becoming a huge problem for your home, call for help from Mantis Pest Solutions, the experts in cricket control. The camel cricket is distinguished from all other crickets by its hunched back. Other names for the camel cricket are the “cellar cricket” or “spider cricket”. Like other crickets, the camel cricket has 3 pairs of legs. However, many people mistake their antennae for another pair of legs, hence the name “spider cricket”. Unlike the field and house cricket, camel crickets do not make chirping noises. If you begin to spot large numbers of these bugs in and around your home, it’s time to call a professional team to help you get rid of crickets with expert cricket control.